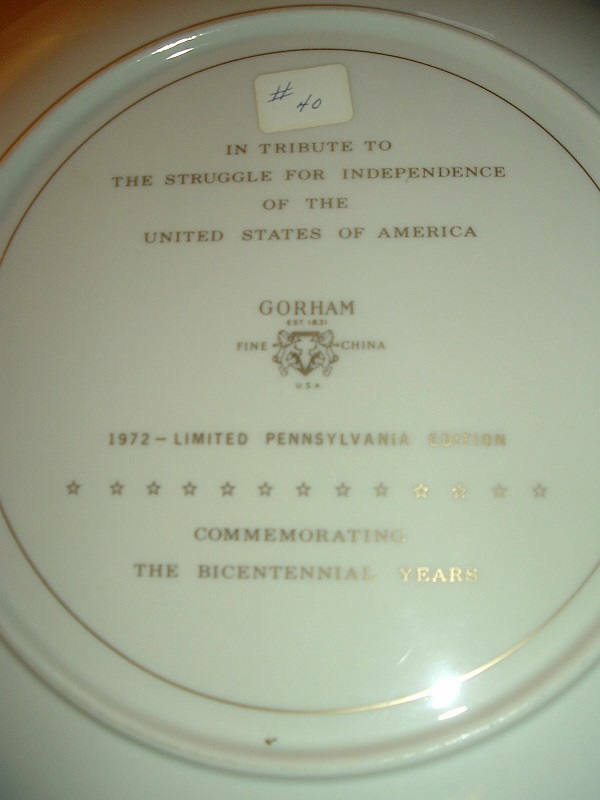 This 1976 Gorham The Struggle for Independence Pennsylvania Edition plate measures approx. 10 5/8" across. 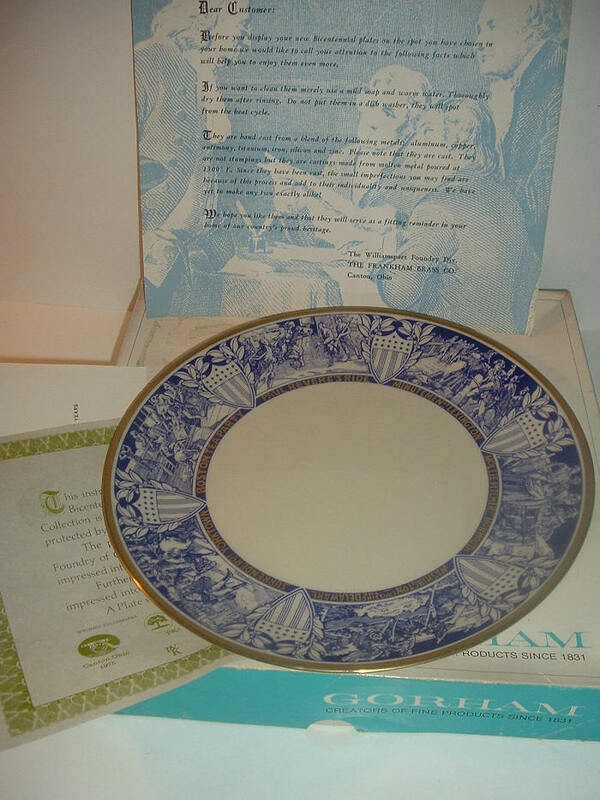 The plate is in excellent condition with no chips, no cracks, and no wear or scratching. 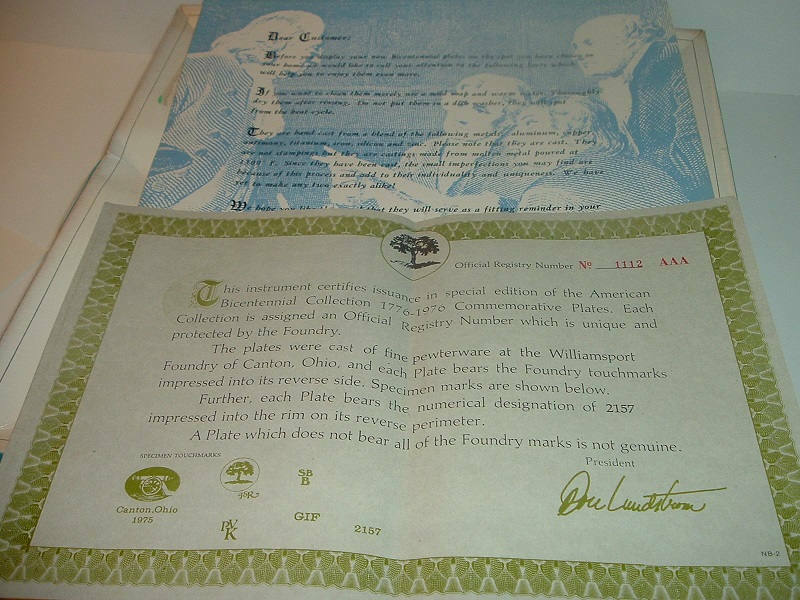 It comes in its original box with its Certificate of Registration (which is like a COA). 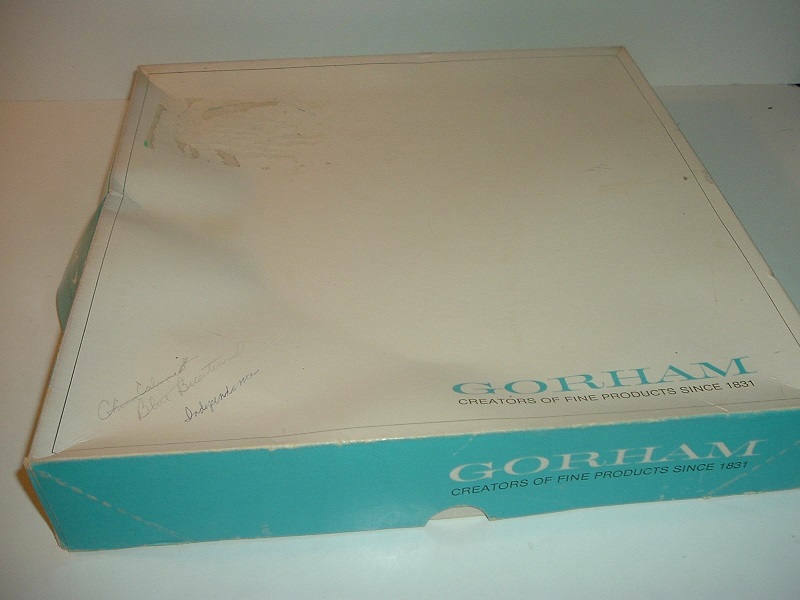 The box is in rather poor condition with wear, writing, a big sticker peel in one corner of the lid. The Certificate of Registration is still in good shape. 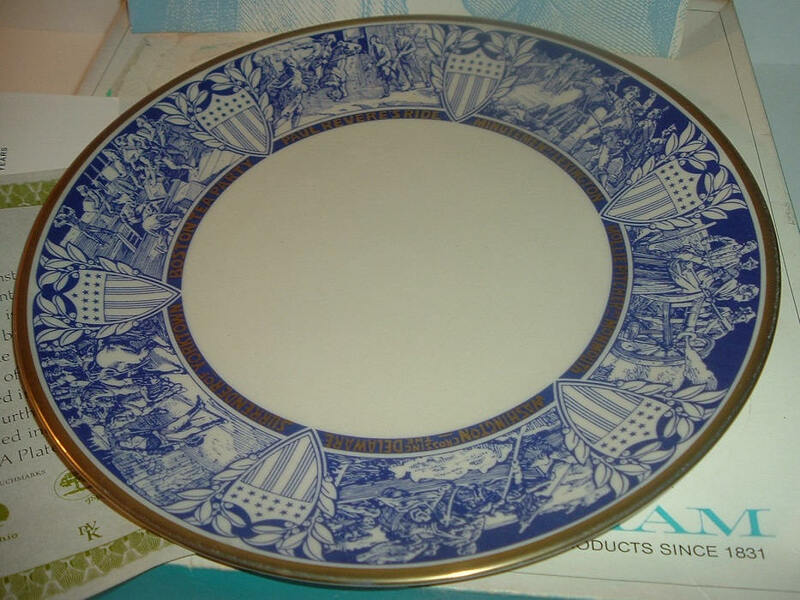 A handsome plate. I gladly combine shipping.